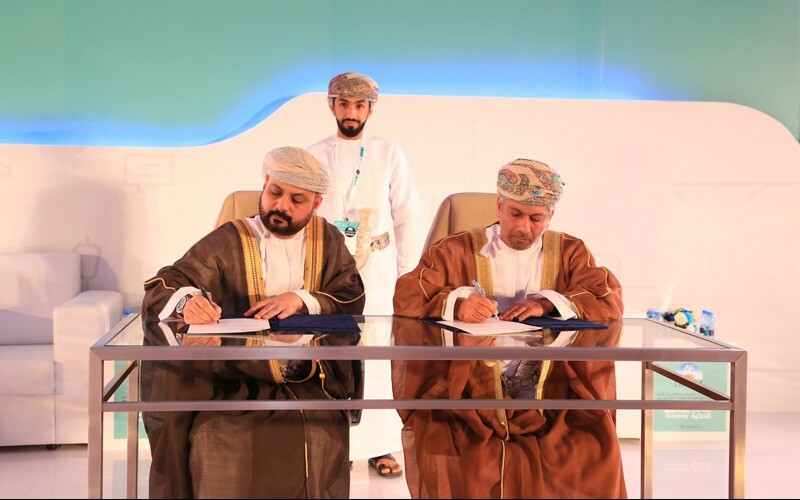 The Oman Company for the Development of the Special Economic Zone at Duqm (Tatweer), and Oman Telecommunications Company (Omantel), signed today a memorandum of understanding (MoU) that provides technical solutions to make Duqm a smart city. Mr. Salem bin Yasser Al Sulaimani and Mr. Talal bin Said Al Mamari, the CEOs of Tatweer and Omantel respectively signed the MoU. The signing of the MoU was on the sidelines of the Fourth Duqm Forum "Duqm ... Society and Economy" organized by the Special Economic Zone Authority in Duqm (SEZAD) and the branch of and the Oman Chamber of Commerce and Industry (OCCI) in Al Wusta Governorate under the title "Smart Cities Economy". According to the MoU, the two companies will identify SEZAD needs of solutions that meet the requirements of smart cities to begin implementation. In continuation of Omantel’s efforts in supporting smart cities, like Al Mouj Muscat and its cooperation with ITA to offer smart services in KOM, the company continues its efforts by bolstering the technology sector in Duqm with commitment to achieve its vision in supporting the sustainability of the sector with massive investment in industry 4.0 technologies and offering innovative solutions to support various entities there and e-Government. The MoU aims to create an intelligent community constantly in touch with information technology. It also aims to provide an integrated smart experience for residents, investors and visitors of Duqm, encourage the community to use smart solutions and deploy them in Duqm, focusing on the needs of existing and future facilities in line with the needs of smart cities and in a way that contributes to promoting the existing assets in Duqm. The MoU seeks to make ICT services more flexible, efficient and sustainable with the use of information technology, digital technology and telecommunications services, provision of better public services for the population, and ensuring better use of resources and in line with environmental conservation requirement and in collaboration with Huawei – the strategic partner. The MoU covers key areas, including infrastructure, public services, tourism services, security and safety services, smart harbor solutions, solutions for campus, traffic lights, road lighting, smart building management and waste management. It also covers transport services, truck weights, smart bus station, parking, video surveillance, vehicle plate identification, WIFI public network, one-stop shop services and SEZAD e-application "My Duqm". The MoU reflects SEZAD-Tatweer vision to deploy smart cities solutions that contribute to attract investments, create an attractive investment environment, and make Duqm a modern city capable of meeting the needs of its residents in work, residence and settlement, strengthen SEZD position as a regional hub in industry, logistics, trade and tourism. Tatweer is the executive arm of SEZAD in the field of infrastructure, project and asset management, and investment development and management.